At St. Cecilia’s Infants we aim to develop children’s literacy skills through a topic-based approach. Wherever possible, we try to provide opportunities for children to develop their skills through other subjects such as History, Geography and Science. The reason for this is that we want children to see how Literacy can be used effectively in other areas. In addition to this, we are giving them opportunities to consolidate their learning through application. We aim to teach the year group expectations for Literacy, as set out in the English Curriculum within the National Curriculum 2014. This curriculum is divided into Reading and Writing, with Spoken Language underpinning both. Skilled word reading involves the speedy working out of the pronunciation of unfamiliar printed words (decoding) and the speedy recognition of familiar printed words. Underpinning both is the understanding that the letters on the page represent the sounds in spoken words. This is why great emphasis is placed on the teaching of Phonics in Early Years, continuing into Key Stage 1. Alongside the teaching of Phonics and key words, children have access to a language rich environment where they are able to apply their decoding skills and develop language comprehension in order to ‘read.’ In addition to this, comprehension skills develop through childrens’ experiences of high quality discussion with the teacher/teaching assistant, as well as from reading and discussing a range of stories, poems and non-fiction during guided reading sessions. At St. Cecilia’s Infant and Nursery School, we are fortunate to have a wide variety of home reading books across a range of schemes. We recognise that all children should follow their own unique reading journey and are keen to provide a rich diet of good quality texts to support them along the way! They will have an opportunity to read books of different genres, non-fiction and poetry. Some of our texts are decodable and follow the Letters and Sounds phonics programme, whilst others are more reliant upon high frequency word recognition and some are mixed. Our main scheme is Oxford Reading Tree. 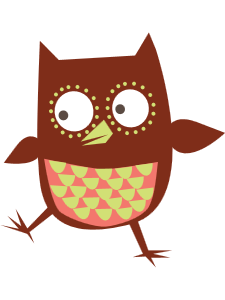 Please click on the owl below to find out more about this scheme. Children are taught key reading skills through Guided Reading. In small groups, they are encouraged to read for meaning and to build on their expression and fluency. Books in these sessions provide a greater opportunity for immersion in the text. In guided reading, we mainly use ‘Literacy Links’ by Kingscourt. These books cover a range of genres as well as non-fiction and poetry. In addition to this, teachers can choose to use a set of books from one of our main schemes. This will depend upon the focus of the session. At our school we recognise the importance of encouraging children to be life-long readers. It is for this reason that we are so keen to encourage them to read just for the pleasure of it! In order to achieve this, we have a well-stocked library and inviting class libraries. Children are encouraged to read for free choice/extension activities and to share their love of reading a particular book with their friends. In addition to this, story time is a regular feature in every class and it is here that children really feel the magic of reading. In our school, we are committed to developing every child as a reader. To this end, we recognise the value of developing reading for pleasure so that children learn to really love it! 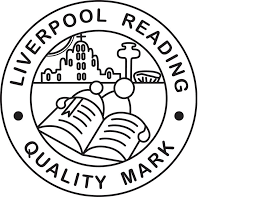 Our commitment to reading for pleasure has been acknowledged by our GOLD level ‘Liverpool Reading Quality Mark’ award. To help support reading at home, please take a look at these websites. Effective composition involves articulating and communicating ideas, and then organising them coherently for a reader. This requires clarity, awareness of the audience, purpose and context, and an increasingly wide knowledge of vocabulary and grammar. We aim to teach the grammar, vocabulary and punctuation skills as set out within the year group expectations of the English Curriculum within the National Curriculum. Our topics provide the context in which the children can learn to apply their composition skills.